Last year I was struck down with the dreaded winter flu and my taste buds changed dramatically. You know the kind, where one minute you’re thoroughly enjoying your morning soy latte and the next even the smell of it makes you gag?! Well after I recovered I was determined not to spend money on daily coffees if they all ended up in the bin and I resigned myself to trying that old kitchen favourite – yup, good ol’ Nescafe Blend 43! I now indulge in the “proper” stuff when I’m out for brekkie or feeling like I need a caffeine boost and it was while I was recently out for brekkie when I heard someone ordering a golden latte… hmmmm what? 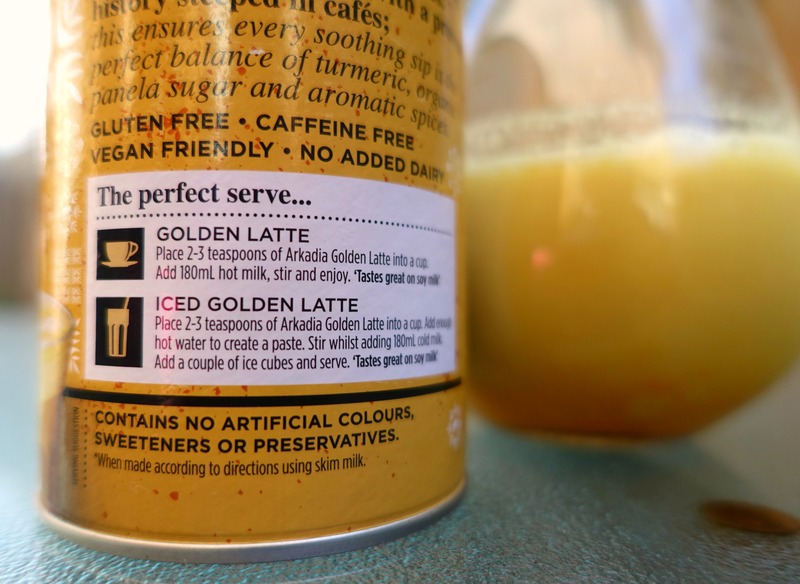 I was intrigued, just what was a golden latte? Was it a regular latte with gold flakes sprinkled on top? Being the sticky beak that I am I soon found out that it was made from turmeric and other spices. Trés interesting! 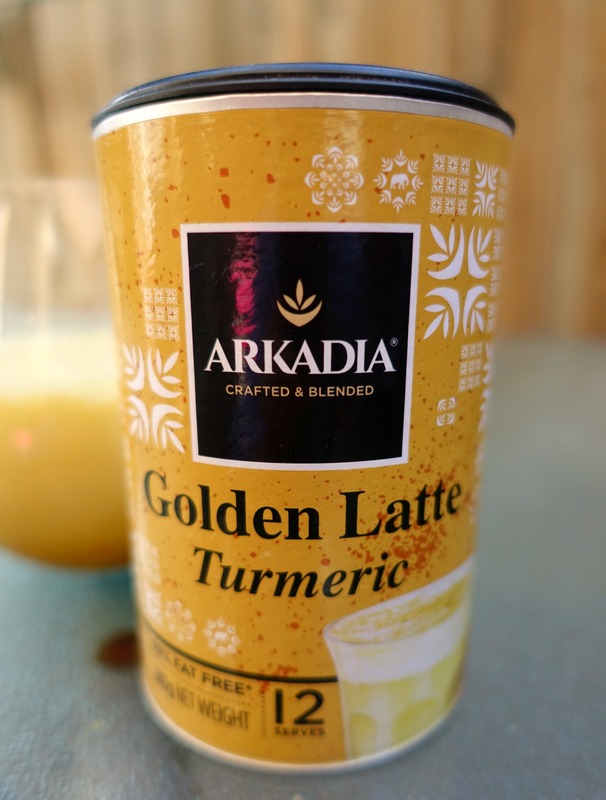 Then just a while ago Arkadia asked if I wanted to try their golden latte, ummmmm YAAAAAAS! Over the last couple of months I’d seen ads spruiking how curcumin is the main active ingredient in turmeric and how it has powerful anti-inflammatory effects and is a very strong antioxidant. I’d only ever used turmeric in curries and hadn’t even thought about drinking it! I was so sure that I wouldn’t like it as I’m not a fan of chai latte because of all the strong spices but this is completely the opposite! 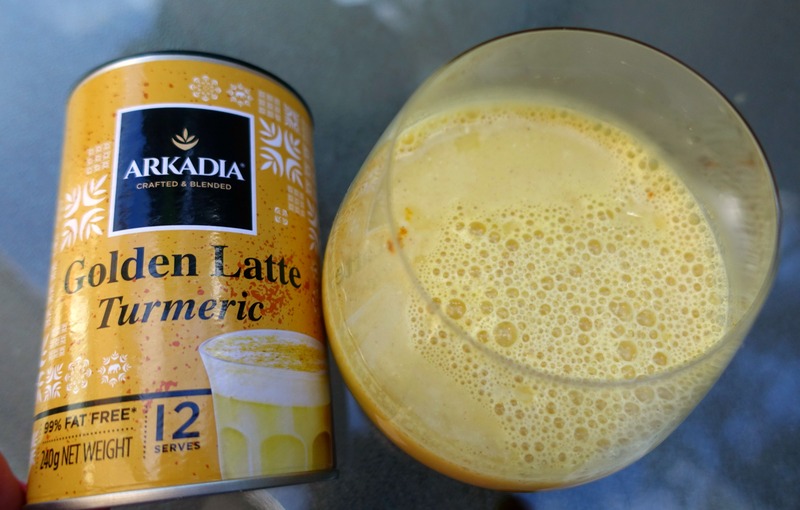 Arkadia Golden Latte is so stupidly easy to make and is super delicious. It contains turmeric, spices and organic panela sugar which makes it absolutely more-ish. All you have to do is pour your favourite hot milk on top and voilà – a tasty glass of goodness! Served hot or cold it’s the perfect alternative to coffee. It’s rich and indulgent and a delicious way to add turmeric daily. Have you tried a golden latte? 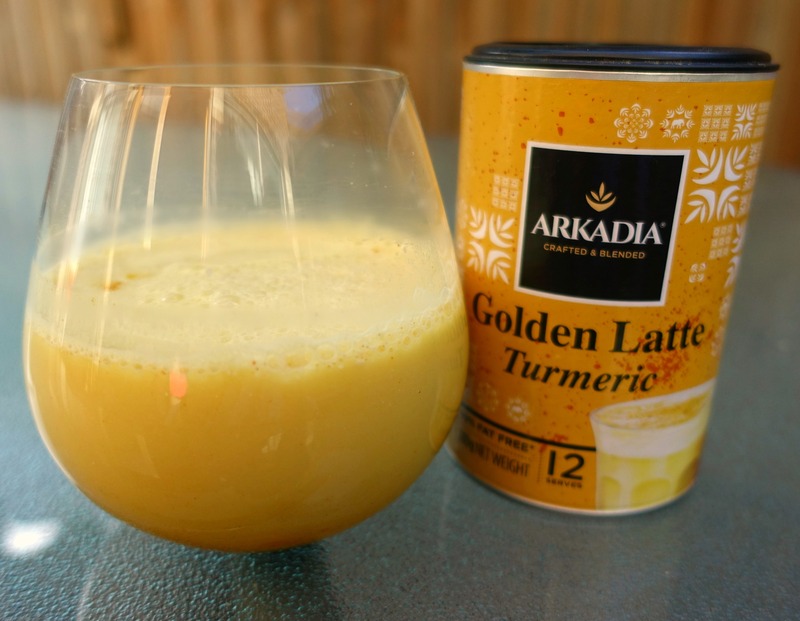 Arkadia Golden Latte (RRP $6.99) is available from Coles and Woolies. Thank you! I’ll look online, all good. I had a turmeric latte from a cafe recently and it was good! Like chai but without the sweetness. I’d like to add a dash of coffee and maybe a half spoon of sugar to see what happens.